Gated Home Community! 3 bed 4 bath home features complete kitchen remodel! New white cabinets w/ grey quartz countertops stainless steel appliances that bring nice modern finishes*Large kitchen island with bright eating area and 2 large pane skylights to top it off*New hardwood on the main level*Large great room centered around a cozy fireplace and Mountain Views*The Master Suite w/vaulted ceilings*custom barn door as you enter the complete custom master bath*Double sinks*expansive mater shower w/ euro glass*Huge master closet with built-in organizers and large bay window with window seat and Mountain Views*3rd bedroom is located in the finished basement* Basement also features Wine and Whisky Cellar along with a Game and Cigar Lounge*Hot water baseboard heating for best air quality. All information is believed to be accurate and correct however Buyer must verify all information. HOA includes: Cable TV/Clubhouse/Pool/Tennis Courts/Dog Park/Building Maint w/ Roof/Trash Water Sewer. Listing provided courtesy of Brokers Guild Classic. SchoolsClick map icons below to view information for schools near 8477 South Upham Way Littleton, CO 80128. Home for sale at 8477 South Upham Way Littleton, CO 80128. Description: The home at 8477 South Upham Way Littleton, CO 80128 with the MLS Number 8948691 is currently listed at $425,000 and has been on the Littleton market for 77 days. 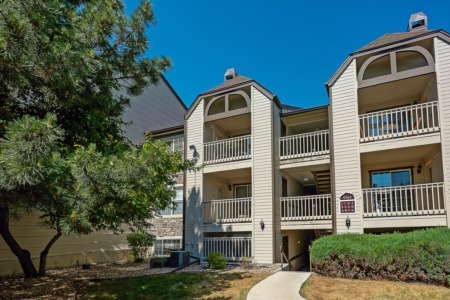 You are viewing the MLS property details of the home for sale at 8477 South Upham Way Littleton, CO 80128, which is located in the Marina Pointe subdivision, includes 3 bedrooms and 4 bathrooms, and has approximately 2770 sq.ft. of living area.